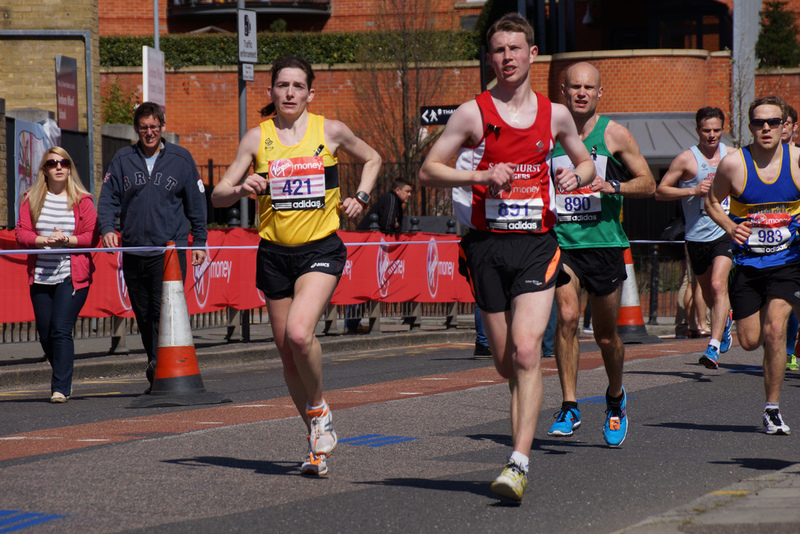 Wokingham half marathon, the must do half for Feb….fast, flat and excellent PB opportunities! So being million miles off of PB form at the moment… I decided to avoid. Compounded by the fact that I’m not a fan of the course generally and my last experience involved an embarrassing ‘forgetting where the car was parked’ incident resulting in a freezing hour wandering round the streets of Wokingham. I decided that I would broaden my horizons and seek some adventures elsewhere. So, a quick Google search later and I was entered into what was described as one of the most fast and scenic half marathons in London with loads of goodies. I was sold! On receiving the pre-race information I was little disappointed that they advised trail shoes, describing the course as ‘very muddy’. Hmm, not conducive to ‘very fast’…(my loathing of mud is legendary!) however, never mind I thought, I’ll just man up and get on with it and at least enjoy the scenery. The race was very well organised, they are a local events company and I would give them absolute top marks for pre-race chat and banter and on-course cheering. Registration was slick and the start was organised as they called us by our predicted times. Parking was very easy and toilets as far as the eye can see, which given that Hampton Court half was on not far away they had obviously got in early with the London based loo suppliers! Unfortunately the course was a disappointment; the first and last mile were laps of the Old Deer Park (my least favourite parkrun!!) and the route was actually almost all concrete which would have been great, had I not taken the advice of wearing trail shoes. By Mile Five my knees and feet were screaming from the unforgiving footwear and I was frustrated not to be able to pick up the pace. The course is two laps, and while the part on the Thames is scenic, there is a lot which isn’t on the Thames, which is fairly indifferent through a housing estate. A near miss with a bicycle in the final two miles on the towpath compounded the misery and the temptation to walk as I entered the Old Deer Park for the final mile loop was somewhat overwhelming! Buoyed by the thoughts of the promised goodies, I ploughed on only to be somewhat deflated when handed with a battered banana and a protein shake. The medals were also the exact same ones which we had received at their 10k last year which, while I am not too precious about bling did display a bit of a lack of imagination! On the plus side; it was a nice day so I took a leisurely jog back to the car and set off to enjoy a Starbucks round the corner! All in all, while not a disaster, it was a pretty average run and the lesson for the day was definitely that sometimes it’s a case of ‘better the devil you know’….though I might have to come up with a Plan C if Wokingham is cancelled next year!